H. Patterson McWhirter, founding member of McWhirter, Bellinger & Associates, P.A., with offices in Columbia, Lexington, Orangeburg, Sumter, Aiken, Camden, and Newberry, South Carolina, practices primarily in the areas of workers’ compensation, medical malpractice, automobile accidents, tractor-trailer wrecks, nursing home litigation, premises liability, product liability, wrongful death and all forms of personal injury cases. He received his B.A. from the University of South Carolina in 1969 and his J.D. from the University of South Carolina School of Law in 1973. Mr. McWhirter was admitted to the South Carolina Bar in 1973, the United States District Court, District of South Carolina, and the United States Court of Appeals, Fourth Circuit, in 1974. He has been a lecturer for the South Carolina Trial Lawyers Association, the Judicial Conference of Supreme Court and Circuit Court Judges, the South Carolina Workers’ Compensation Education Association, the South Caroline Public Defender Association and the South Carolina Bar Association. Mr. McWhirter is a member of the American Association for Justice (Leaders Forum), the South Carolina Association for Justice, the South Carolina Injured Workers Advocates, the South Carolina Workers’ Compensation Educational Association, and was formerly a member of the South Carolina Worker’s Compensation Medical Seminar Advisory Board. He is a member of the South Carolina Bar Association and has formerly been a member of its Professional Responsibility Committee, its Torts and Insurance Practice and Workers’ Compensation sections, and its House of Delegates. 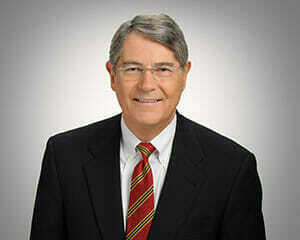 He is also a member of the Lexington County (former Executive Committee member) and Richland County Bar Associations. He has been a speaker and seminar coordinator for medical malpractice seminars at the South Carolina Bar Association—Continuing Legal Education Division, and has performed the same functions for the South Carolina Workers’ Compensation Medical Seminars sponsored by the South Carolina Workers’ Compensation Educational Association in conjunction with the South Carolina Workers’ Compensation Commission. He is a founding member of the South Carolina Association of Criminal Defense Lawyers and the South Carolina Death Penalty Resource and Defense Center, and has served as president of the South Carolina Public Defender Association and chairman of both the South Carolina Bar Association’s Criminal Law Section and of the South Carolina Office of Appellate Defense Board of Directors. He is a former member of the National Coalition to Abolish the Death Penalty and is a graduate of the National College of Criminal Defense. He is listed in Best Lawyers in America, Million Dollar Advocates Forum, and Super Lawyers.